36氪（http://t.co/w5U5iSSb）是一个关注互联网创业的科技博客。旨在为互联网创业者和投资者提供有价值的科技资讯。http://t.co/w5U5iSSb is a tech blog all about startups. We connect startups and investors. 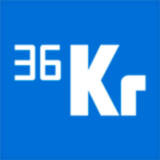 36氪（36Kr.com） hasn’t been active on Medium yet. Check back later to see their stories, claps, and highlights.